Tesla has deployed more than 1 GWh of energy storage -- and it's on track to double that this year. Tesla Inc. (TSLA - Get Report) is looking energized. After struggling to get traction in recent months - and amassing a massive level of short interest in the process - shares of Tesla are catching a bid in a big way this June. Shares are up more than 17.5% since the calendar flipped to June, significantly outperforming the rest of the broad market. Tesla's performance surge has a lot to do with new full self-driving features on the horizon as well as boosted analyst estimates Model 3 delivery numbers. But there's a totally different production milestone that Tesla just announced it hit this month - and most investors totally missed it. I'm talking about Tesla Energy's power storage deployments. A Tesla Powerpack installation. Source: Tesla Inc. 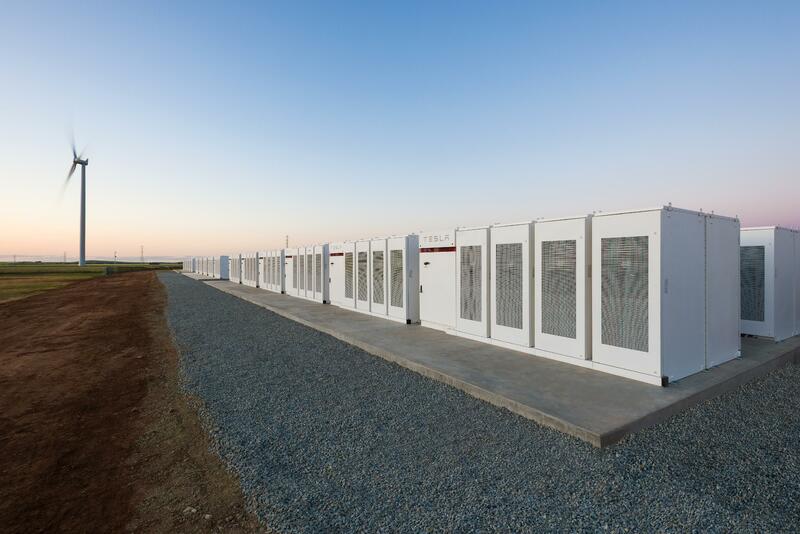 In a comment to FastCompany, Tesla co-founder and CTO JB Straubel revealed that the company has now deployed more than 1 gigawatt-hour of energy storage, or around half the entire amount of energy storage installed globally last year. Just for comparison, that's enough energy storage to power 1,000 average American households for a full month without interruption. And it could just be the beginning. Currently Tesla is supply-constrained for energy storage - there's a long waiting list of residential customers waiting to get Powerwalls installed, for instance. That backlog should be cleared later this year, as nickel manganese cobalt battery production continues to ramp at the company's Gigafactory in Nevada. Meanwhile, the company is also in the process of deploying massive energy storage projects at the commercial and utility scales. The firm has approximately 11,000 projects underway in Puerto Rico, as well as substantial Powerwall and Powerpack installations in Australia. At Tesla's shareholder meeting, Elon Musk said that he expects to hit the 2 GWh mark for energy storage in less than a year. Most investors are (not surprisingly) just paying attention to Tesla's car efforts as the firm scales up production of the Model 3. But they're missing out on the other piece of the puzzle; as car production creates economies of scale at Tesla's Gigafactory, it's dramatically bringing down energy storage costs for Tesla Energy. From a technical standpoint, shares of Tesla are looking bullish again. Shares closed above the important $340 level in Tuesday's session, and they're on track to do the same thing Wednesday. Buyers are clearly back in control of the price action in this big stock.